With Ubisoft having released two different Assassin’s Creed games this year, you would think they’d want to take a year off or something – especially when you consider a lot of the glitches being reported about the game(s). Though that isn’t the case as we just learned from Kotaku that leaked images and details of a new Assassin’s Creed game set for 2015 entitled “victory”. Now you could say “this is fake”; but considering Kotaku properly identified AC: Rogue – then codenamed Comet – earlier this year, I trust this story. Then again, if only official word will do, then I should mention that Ubisoft has released an official statement confirming this new leaked game; but also expressing disappointment that it has been spoiled this early before anything was really ready. Well that’s all fine and good, but what about the game itself: Too soon? Too similar? Or could it be just what the doctor ordered? Let’s take a closer look at what Kotaku was able to uncover and see where Assassin’s Creed: Victory stands. 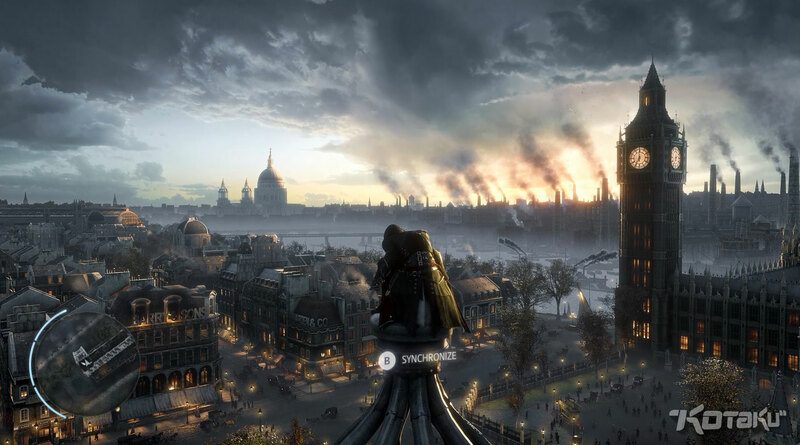 Assassin’s Creed: Victory – whether a working title or code name – will be set in 19th Century (Victorian) London. Now some of you are probably thinking “Great, another European capital.” Now while this might seem very similar to French Revolution Paris – as compared to NOT being Feudal Japan – it’s actually a very different city. Yes Victorian Era London had people of wealth living separated from those in the slums; but it was also an era of a lot of technological advancement. From stagecoaches to steam ships, this is the era that comes to mind when you think of A Christmas Carol, Sherlock Holmes, and the not-so-fictional Jack The Ripper. What specific portion of the Victoria Era this game will inhabit remains to be seen. Will it be during the great Peace of Britain or perhaps during one of the wars of the Era. Regardless, seeing those gas lamp lit streets and horse drawn carriages is stunning; but that’s not all they’re there for. With the exception of Black Flag, each Assassins Creed game has more or less pushed the timeline closer to the modern Era; and this game is no exception. As I said, this is the era of technological advancement; and this game appears to be taking full advantage of that with battle aboard moving vehicles as well as world opening gadgets. During the preview game footage, there were a couple of prominent moments where the Assassin fought adversaries on moving stagecoaches as well as trains. The world might be the same; but it will move very differently if these footage is any hint. Though it is the progression of exploration that might bring this game closer than ever to the modern era. Let’s face it, a lot of the Assassins Creed staples – haystacks, counter balanced ropes to quickly ascend buildings, etc – don’t really work in the modern era. Assassins Creed: Unity – despite its glitches did introduce the new quick controlled descent. 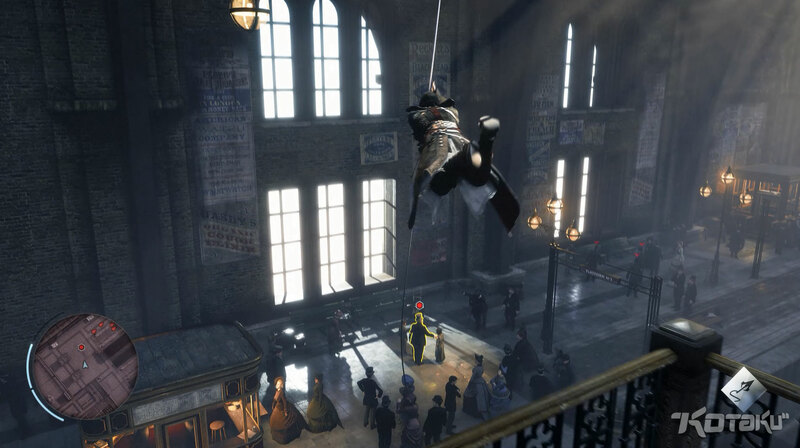 Well it appears that AC: Victory will introduce a grappling hook that will allow you to traverse interiors and overhangs much more swiftly – opening up both offensive and defensive options. Whether you use it to get the drop on a target or drop and disappear in the crowd, grappling hooks are the next step in making Assassins . . . well, basically Batman. Again, there’s not much else we know right now about Assassin’s Creed: Victory; but there is at least one thing we can be thankful for: AC: Victory is the ONLY Assassin’s Creed title in the works for 2015! Yes, AC: Unity had ground breaking new game mechanics; but right now it’s all lost in a sea of posts about all the bugs. As for AC: Rogue, it’s a great game and successor to Black Flag with a brand new angle; but we hardly hear about it. It might be last gen; but the marketing behind it seems almost nonexistent. Overall, it’s just a good idea that Ubisoft can go back to focusing on ONE AC title. Victory will be the first headed up by Ubisoft Quebec rather than Montreal and will use much of the Anvil NEXT system that Unity used. Though look at it this way: the game is a year away and it already look fantastic. With just one title and having this much under their belts already; Ubisoft can hopefully focus on turning AC: Victory into a victory itself with improved testing and marketing. Enjoyed the write up – I can’t help seeing it (the leak) as a blessing in disguise as well for Ubisoft; anything to take the focus off all the bugs of Unity. Haha Agreed. On all of the above. Their marketing strategy was basically 100% Unity and 0 for Rogue, which is bitting them in the but with all the glitches that turned up. So yes, this could def be a good thing.